One of my favourite things about the Autumn is the return of the berries, purples, burgundies and deep mauve-pinks. I'm talking about Autumnal lipsticks today ladies, and I've picked out some of my favourite MAC offerings for this season that it upon us. Let the record state that I love MAC lipsticks- I genuinely think they are some of the best on the market, and I probably own over 40 of the little buggers now. Some of my favourite MAC lippies are autumnal shades. Without further ado, I'll just crack into it. MAC See Sheer is one of my favourite MAC lippies because it's such an all rounder. A lustre finish, this is comfortable on the lips. I think the warm, russety undertones make this perfectly autumn appropriate and perfect for those days when you kind of want a red lip but you don't really want to commit to a red lip (we all have those days, right?). MAC Captive is one of the newer additions to my MAC Autumn lipstick wardrobe and the gorgeous satin finish on this makes it comfortable on the kissers too. This is such a sophisticated pink- quite similar to MAC Craving which I also have on today's lineup. I would prefer the feeling of Craving on my lips over Captive because the Amplified finish is balmier but if you are looking for a bit more lasting powder, Captive is the way to go. I also feel that Craving is just the smidgeen pinker. MAC Up the Amp is one of my favourite lipsticks in this world ever because I have gone gaga for purples. I wear alot of black and navy in winters especially and something about Up the Amp pulls the blue out from my otherwise grey eyes. MAC Creme in Your Coffee is about as brown as I will go in the Autumn because I don't generally tend to go for browny shades. This one has the requisite amount of pink to make it not look like you smeared Nutella all over your lips before leaving the house. I generally hate and despise any kind of frosty colour on my lips, and I think out of the 40+ MAC lipsticks that I own, about three of them have a frost finish. 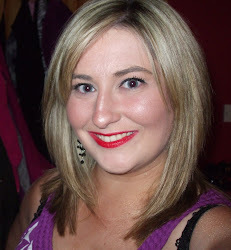 One Frost that I have been loving however is MAC Viva Glam V which is a gorgeous, demure red. The frost doesn't so much make it metallic as it makes it interesting, and this lipstick is the definition of juxtaposition- perfectly work appropriate but great for a night out on the town too. 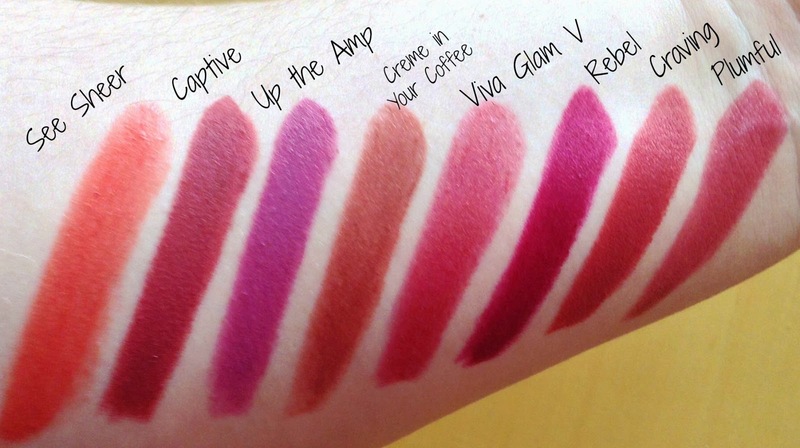 What Autumn lipstick lineup is complete without the inclusion of MAC Rebel? I often see this on other people and it looks crazy dark but it really just depends on how much you layer it up. It's just a lovely deep plummy pink on me because I only apply one or two coats at a time. It looks scarier in the bullet than it does on your lips- trust me. If you are near a MAC store and have ever been curious about this, ask them to apply it so you can see the magic instantly! Lastly, MAC Plumful is a going to be an Autumn staple of mine over the coming months because (a) it's a Lustre which makes it a dream to wear (b) the colour is perfectly work appropriate and (c) it enhances the colours of my eyes without being so strong that it would stop traffic. What lipsticks, MAC or otherwise, are in your autumn lipstick wardrobe?